« Can Online Forms Be Fun? New semesters are starting up on college campuses throughout the United States. All of them are conscious of overspending and trying to keep costs under control. Making resources stretch further often requires redesigning work processes so they’re as efficient and automated as technology allows. One important way institutions of higher learning can make their financial resources accomplish more is one you may not expect: using new form and workflow software. Keeping everyone’s records straight is a major undertaking, even for a small school. The right form software helps keep everyone’s file correct and in order and can save colleges and universities massive amounts of money. Here’s how. Public or private, colleges must always be mindful of their budgets. Sometimes budgets have to change unexpectedly, due perhaps to a larger-than-average freshman class, or the retirement of one department’s valued professor. When schools have to realign budgets using paper forms, the process is fraught with difficulty and the potential for mistakes. Taking paper budget adjustment forms online can transform the process, even if everything else stays the same. Not only are printing and ink costs taken out of the equation, authorized personnel can access the form they need online at any time, submitting it during or outside of office hours. The old way of doing it usually involved numerous steps, with students finding themselves waiting in line after line before finally receiving their ID and hoping all the information it contained was correct. With digital cameras and online forms and workflows, there’s simply no excuse for dealing with film, manual processes, and laminating equipment. When students can request the creation of their student ID online, and even upload their own digital photo, their ID cards can be digitally created behind the scenes and can be waiting for them as soon as they show up on campus. The amount of time saved for students and staff and the cost savings can be impressive. Creating online forms to replace paper forms can deliver a return on investment even if no other changes are made. Without paper and ink to contend with, material costs drop significantly, forms always go where they’re supposed to, and the information contained in the forms is likelier to be accurate. If nothing else, there are no headaches with trying to read someone else’s handwriting. … there are no headaches with trying to read someone else’s handwriting. 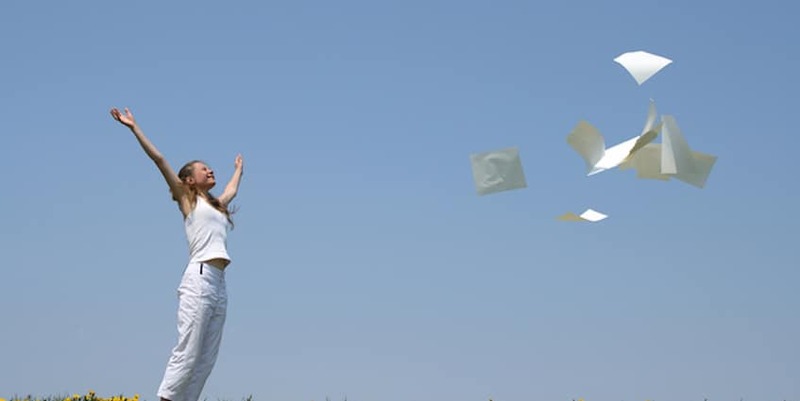 Many colleges and other organizations and businesses find that as soon as they take one manual, paper-based process online using their online form software, the results are so overwhelmingly positive that they immediately start thinking of other processes that can be made paperless. On a college campus, the costs associated with paper forms and processing can be high indeed. Maybe you have wanted to make paper forms and workflows electronic, but have had to rely on your already busy IT team to design and create online forms. That is no longer necessary with form and workflow software designed to be used by the very people who use the forms on a daily basis. Let the IT team deal with infrastructure and other critical IT services, while your actual users create forms that do exactly what they want. With the right software, this is not only possible, it can be comfortable for staff members knowing they have the power to make work processes faster and better. PerfectForms is form and workflow software that has been used by schools, colleges, and universities to streamline operations and save money. It’s designed for non-technical users, so the people who actually deal with the forms on a day-to-day basis can design forms and easily modify them until they’re exactly right. Time and cost savings begin almost immediately and continue over the long term as less paper, ink, and time are needed to keep processes on track. Best of all, you can try PerfectForms for free by signing up for a trial. See for yourself what your school or other organization has been missing in terms of efficiency and savings. This entry was posted on Thursday, August 10th, 2017 at 8:00 am	and is filed under Form Design, Workflow. You can follow any responses to this entry through the RSS 2.0 feed.